In a global competitive market, companies are always trying to improve their profitability. A tool which has proven successful in order to achieve this goal with relatively low technological investments has been the use of revenue management systems. However, these systems have only been implemented in service industries, see Talluri and van Ryzin (2004). 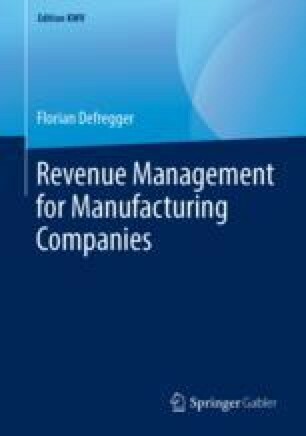 Thus, the question arises if revenue management could be profitably applied for manufacturing companies, as well.